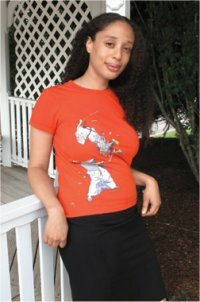 Alaya Dawn Johnson was born in Washington DC, and grew up in nearby Potomac MD. She went to private school in DC and attended Columbia University in New York, graduating in 2004 with a BA in East Asian languages and culture. She has lived in New York City since moving there for college, apart from a period spent living abroad in Japan. She began publishing fiction with ‘‘Who Ever Loved’’ in Arabella (2004), and has published several stories and poems since, notably ‘‘Shard of Glass’’ (2005) and ‘‘Far and Deep’’ (2009). First novel Racing the Dark (2007) began her Spirit Binders fantasy series, followed by The Burning City (2010). Historical vampire novel Moonshine appeared in 2010. She’s also written two ‘‘choose-your-own-adventure’’ graphic novels: The Goblin King, illustrated by Meg Gandy (2009), and forthcoming Detective Frankenstein, illustrated by Yuko Ota. ‘‘Fantasy and childhood literature jibe with each other so well because in both, strong emotions and metaphors can merge with each other. A lot of people who dismiss fantasy think of it as a kind of adolescent genre. But I don’t think anyone ever wholly loses those feelings of being an outsider, and coming of age. ‘‘Growing up, I felt kind of distanced from a lot of science fiction. Even when women characters were around, they were relegated to very strange roles, and I was not able to connect with them the same way I did with fantasy. It felt like this boy genre. So I never read much science fiction (though I liked David Brin). “I deal with political issues because that’s what I’m thinking about all the time. To me, the environment in Racing the Dark and The Burning City was something I wanted to be able to discuss. I wanted to use fantasy (that literalization of metaphor) to dramatize some of those conflicts and put it more in the forefront of the reader’s mind, since so much fantasy conflict is driven by Evil in a more didactic guise: evil empires or people. The wasteland caused by the last war is usually turning green and verdant by the end of the last novel. When the environment is used, it’s to show how Evil has acted, as opposed to the consequences of how you live. 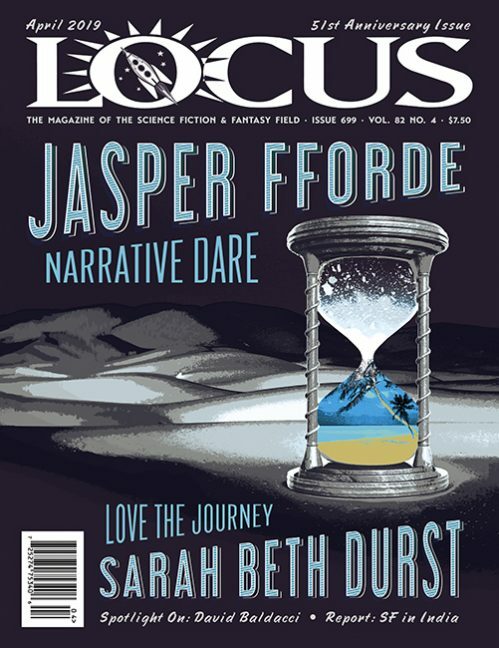 Read the complete interview, and biographical profile, in the March 2011 issue of Locus Magazine.